The only real downside to using a smartphone is that you are constantly looking for a power outlet or some free USB port to charge it. But the technical magicians at UCLA have come up with a solar cell that can let a phone charge itself using the screen’s backlight. In a typical LCD, there are tiny liquid crystal molecules sandwiched between two polarized sheets. Transistors manipulate parts of the liquid crystal, which display a pixel. The backlight (usually a fluorescent tube or LED array) then makes the pixels visible. But because of the polarizers, up to 75 percent of a screen’s backlight could be absorbed before it even reaches the users eyes, while the entire display continues to use up 80 to 90 percent of the power that a device draws. 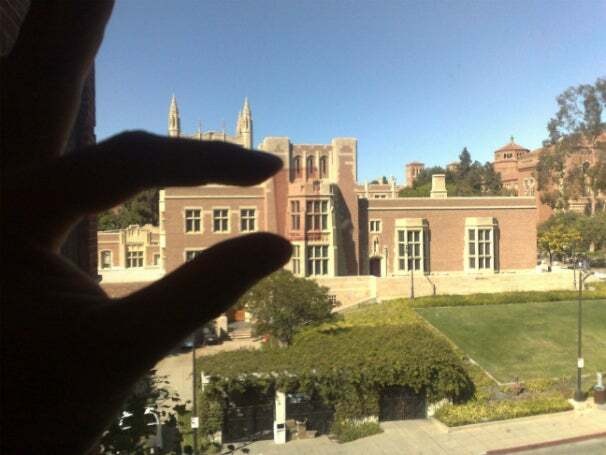 The UCLA Engineering team created a new type of polarizer that can harvest energy from the screen's backlight as you use it. The team developed the polarizing organic photovoltaic cell to be one part polarizer and photovoltaic device. While your phone is on, the photovoltaic cell can harvest up to 75 percent of the wasted photons from the LCD's backlight. The new panel can also create electricity from both sunlight and the ambient light from indoor lighting as well, so your device could be charging no matter where it is--except while it’s in your pocket, maybe.